The Luck of the Draw!? We have all seen games � and perhaps even played them � in which a difficult or lost game is salvaged by a brilliant drawing combination. In the early 1970s, Soviet International Master Leonid Verkhovsky collected some of the most fantastic draws ever played. You will also delight at the spectacular �saving draws,� when, although in a difficult position, a player finds all possible (and impossible!) resources to make a draw. Example are drawn from the praxis of world champions and outstanding grandmasters, as well as from the games of lesser-known players. 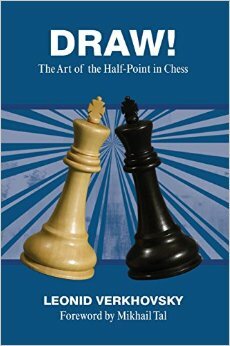 Of special interest is the research made by the author regarding stalemate, that special exception in the rules. The book is crowned with an interesting chapter in which the author addresses the drawn games of the world�s top players.